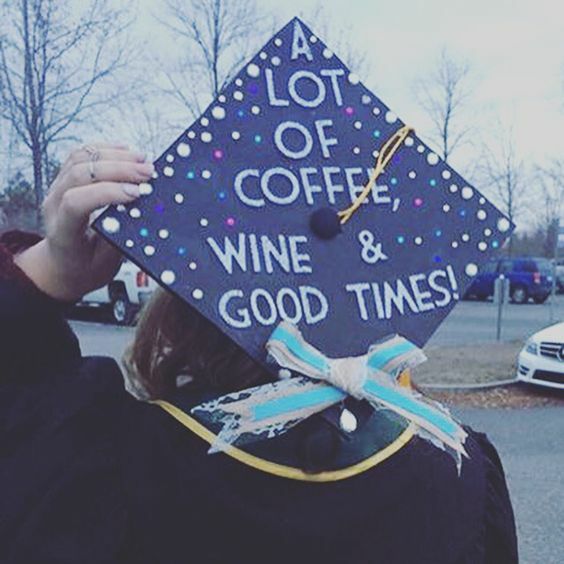 Wine and Coffee Themed Graduation Cap Decorations for Inspiration! 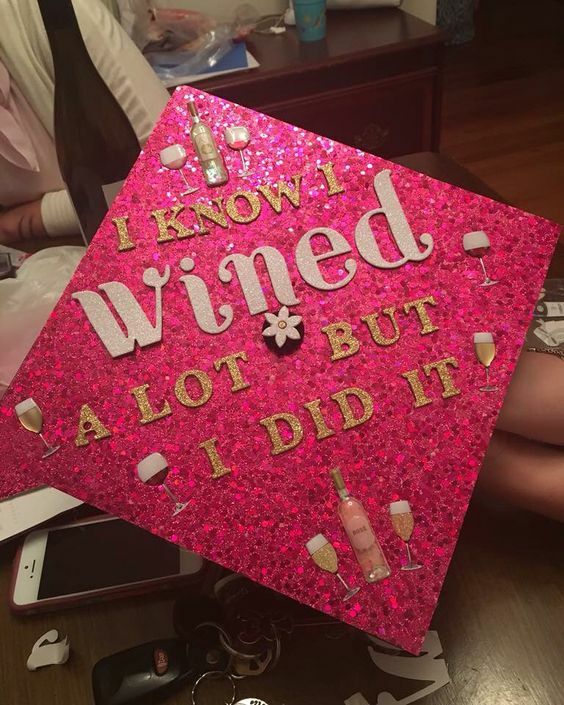 These wine and coffee themed graduation cap decorations were compiled from all over the internet! We selected the nicest ones, but that is subjective, of course. For some of us, coffee is a necessary daily ritual to start our day. For others, alcohol is critical to end the day (or end the week). 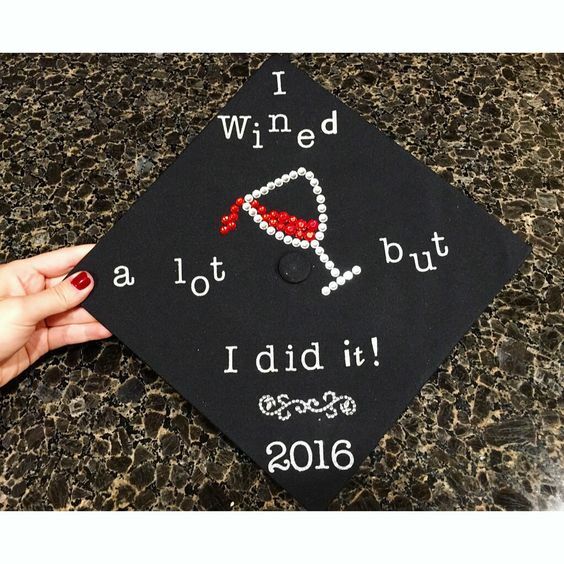 Either way, you had a lot of beverages during your time in school! 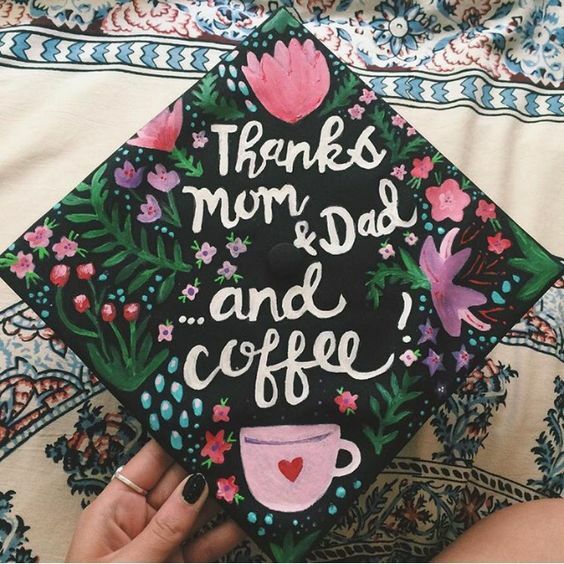 What better to put on your graduation cap than your trusty drink of choice, that you have relied on to get you through your time in school? 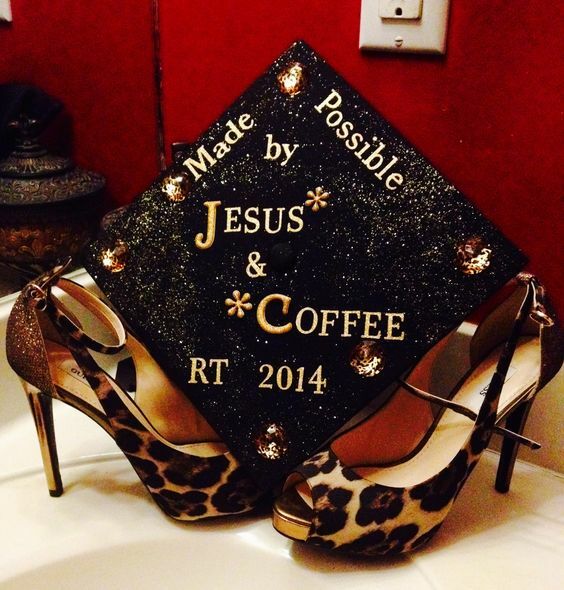 1: Jesus & Coffee….and Shoes! 2: One more….because why not? 3: You will look back at the good times in school for as long as your memory serves you! 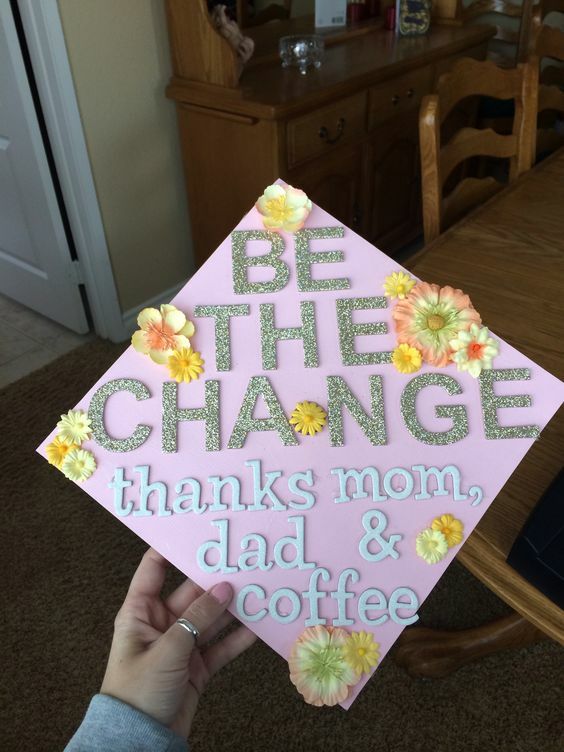 4: The three most important things in life…next to your degree! 5: The flowers and pastel background is an awesome touch. 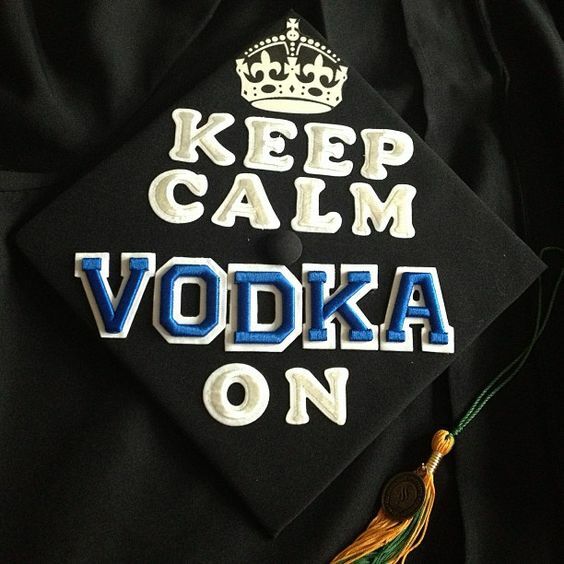 6: It really does help you keep calm, that is unless you continue the next day. 7: A very popular theme is this saying. Makes a ton of sense! 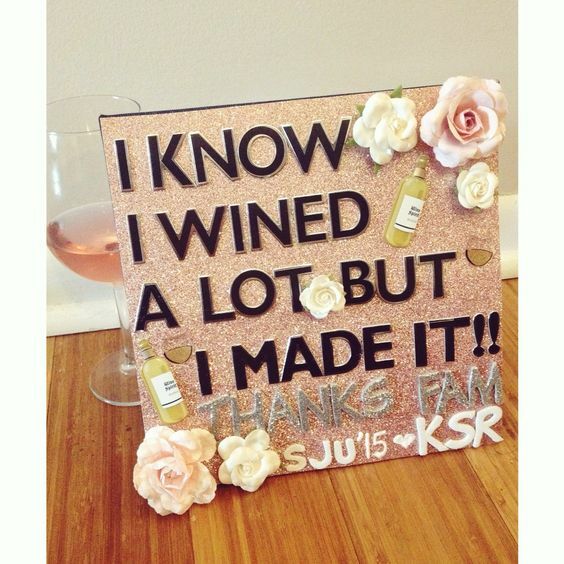 8: Rhinestones make up the glassware here, a very nice touch! 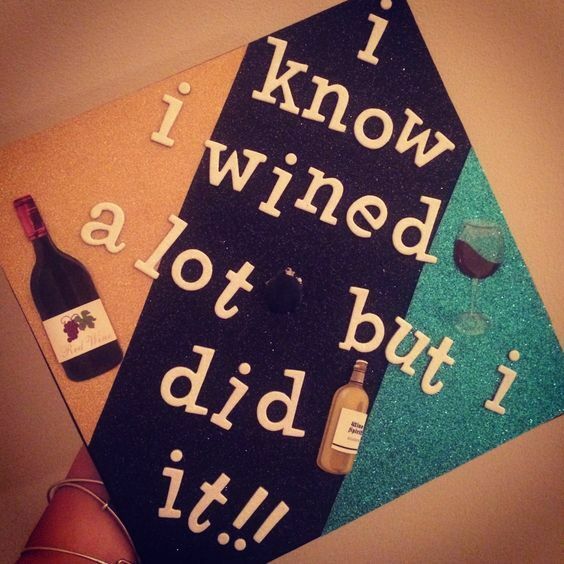 9: This three-tone graduation cap really stands out from the crowd! 10: A glittering pink background is the perfect choice, with plenty of wine glasses and bottles! Show love for your favorite beverage. It was there for you when nobody else was. It kept you going in your time of need. 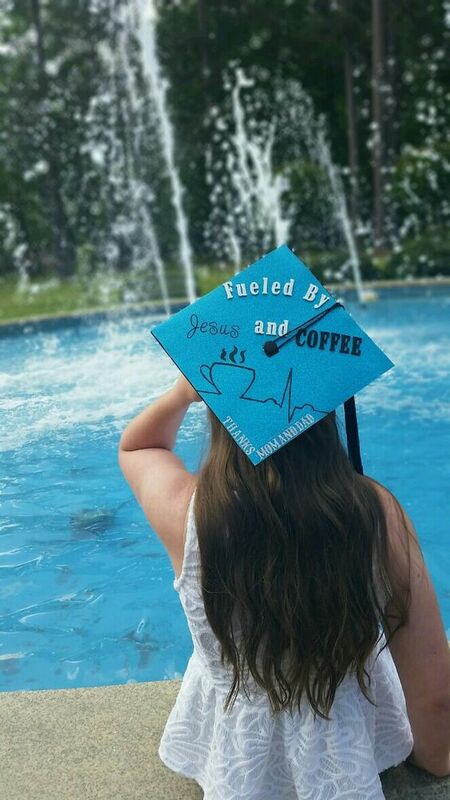 Coffee when studying before finals, vodka right after finals. Both are equally important.